Road or Ride? | Life. Seriously? Funny! ← Are We Really Rationally Rationalizing? 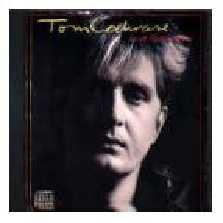 Back in the early nineties there was a song called “Life is a Highway” by a guy named Tom Cochrane. Now ole Tom used to be with a group called Red Rider, so I guess Tom thought if he stuck near to the riding theme he would continue to see success. Tom was wrong. “Life is a Highway” was a one-hit-wonder dead-end for Tommy! Besides, every guy knows life is not a highway, silly rabbit, it’s a tool store! Tools are just simply way cool. Most of them are heavy, so they have substance. Many are quite useful, so they have purpose. If they are a well-known brand they have reputation. Many are customized to fit a specific task; in fact almost every imaginable task out there has a tool made just for that task. And perhaps the most important thing about tools is they are costly – and every male of the species knows if you have a lot of really heavy, expensive tools specifically made for specific tasks all of the other guys will stand in awe of your tool collection . . . and your wife will expect you to do something useful with them! Yet no one wants to live for either tools or a “driving experience,” whether speaking poetically or not. When we find ourselves living for things or even other people, we will come to a rather quick understanding there is no happiness in either things or people. Things break, they depreciate and they can be stolen. People disappoint us in so many ways. So if life is not a highway, a tool store nor a person, what is it? Jesus in the Gospel of Luke taught a lesson on anxiety. In it he reminded His listeners their lives were so much more than food and their bodies were designed for more things than clothing. Now why would Jesus take the time to tell us to back away from the food bar and the clothing sale? Because anytime we place our self-worth in anything other than Him, we will come face to face with disappointment, worry, fear and anxiety! So how do we balance these “things” that we will need to live our lives? We need clothes, food, shelter and a way to get to work so we have to have things, but what we do not want is for those things to have us! The Apostle Paul in Corinthians stated if we have placed our hope in Christ in this life only, we should be pitied more than any other people alive! Why? We are those who have come to Jesus Christ for salvation and were forgiven by Him through His work on the Cross. If we then forget there is an eternity out there ahead of us and for which we were created, we are then living far below our means as believers. I have met very few believers these days who are too heavenly minded for any earthly good. Yet there are many believers who are too earthly minded for any heavenly good. Life is not about things or just living for the next moment; life is about our realizing we are created for an eternity to come to live with the God of eternity. If we can catch just a glimpse of the wonder in this fact then people will want what we have and we will have blessing beyond our imaginations – both now and in eternity! Life isn’t a highway, but man oh man, can it be a great ride! Posted on December 29, 2011, in Uncategorized and tagged life is a highway, tom cochrane, tool store. Bookmark the permalink. 2 Comments. Thanks for the comment and input LaVelle! I agree with your quote of Marcus Aurelius–one of the few General/Caesars who truly had the good of the people in mind when he ruled. If Rome had more of men like him, Rome could have survived with far fewer calamities. While your quote certainly applied to the overall thought, I take great comfort in the truth of Scripture which tells us the same thing: we will never experience anything beyond our ability to “stand up” and “bear” it–and every situation always presents us with choices. Thanks for reading!